Item number 2811/138 from the MOA: University of British Columbia. 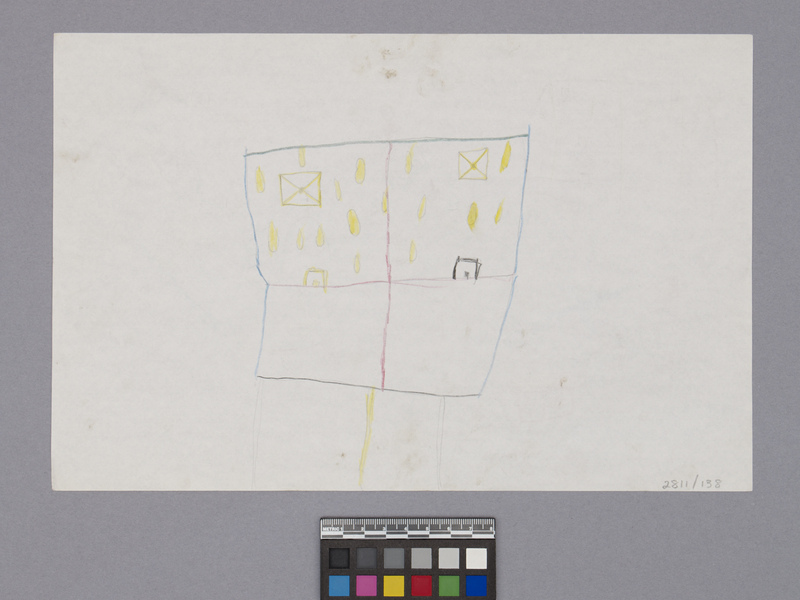 Children's drawing on legal size off-white paper. 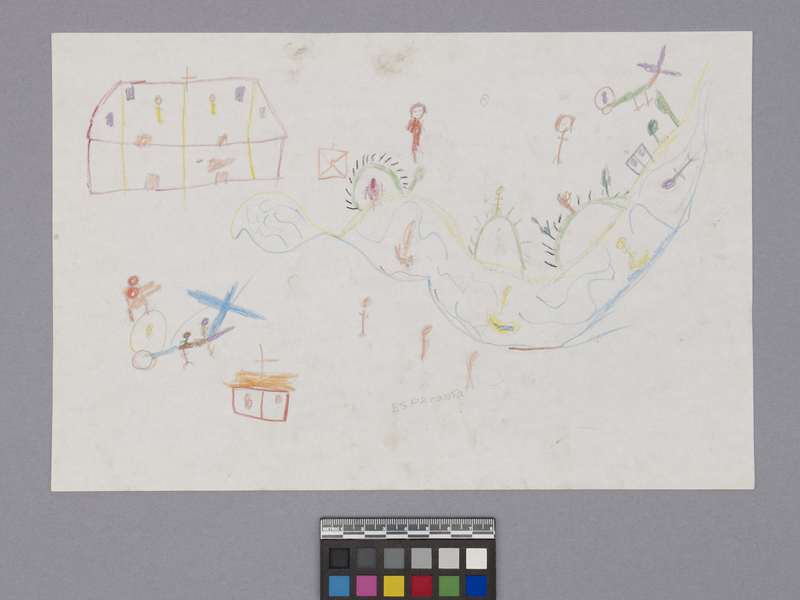 On the front, a scene has been drawn based around an oblong, curved blue and yellow shape that likely represents a river or lake. To the left of the water, in the upper left of the page, is a pink, yellow, and purple building that likely represents a church due to the pink cross that has been drawn at the top of the structure. Directly below this building is a rudimentary drawing of a helicopter. The helicopter contains three human figures and there is a larger red figure standing on the canopy. There is a second small structure with a cross below the helicopter, and it contains a single human figure. Above the body of water, three grassy mounds have been drawn, along with five human figures, several trees, and a second helicopter. Below the body of water, three pink human figures have been drawn, and the word "esperansa" has been written in pencil. There are four human figures in the water itself. On the reverse, a square object divided into four sections with pink lines has been drawn and appears to be incomplete.